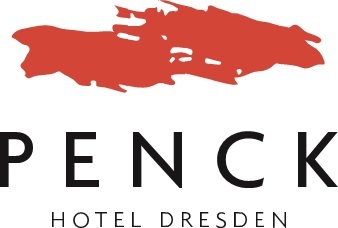 The Penck Hotel Dresden enjoys a central location in the city centre. The historic old town, with its Semperoper, Frauenkirche, Schloss and Zwinger, is only five minutes’ walk away. The Elbe meadows are also just a stone’s throw away. The trendy district of Neustadt can be reached quickly via tram, and the Messe Dresden exhibition centre can also be accessed on foot. The centrally located 4-star hotel is easy and quick to get to from the A4 and A17 motorways. The hotel has its own underground car park, available to guests for a fee. Price for hotel guests: €16.00/24 hours. From Dresden Hauptbahnhof (main station), take the 10 (in the direction of Messe Dresden exhibition centre) to the Dresden Mitte train station. Alternatively, take the overground S-Bahn to Mitte train station. By long-distance coach to Dresden Hauptbahnhof (main station): walk through to the south side of the station from the bus-parking area. Take tram line 10 (Messe Dresden) to Mitte train station and then it's just 300 m to the Penck Hotel Dresden via Könneritzstraße. By long-distance coach to Dresden Neustadt train station: walk from the bus-parking area on Hansastraße through the underpass to Schlesischer Platz and then take tram line 11 (in the direction of Zschertnitz) to the Congress Zentrum stop. The Penck Hotel Dresden is located diagonally opposite. Dresden International Airport (DRS) is just 9.5 km away. The overground S-Bahn S 2 will take you directly from Dresden International Airport almost to the hotel. The S-Bahn station Dresden Mitte is just 300 m away from the hotel.